​Description: Want to be a healthcare professional? Camp CHLA provides students with the chance to explore healthcare careers. Shadow health care professionals, participate in labs and gain valuable skills, and get a firsthand look at health care with this amazing opportunity. Once they receive 400 applications, the application will be closed. ​Description: Samuel Family Latino and African American High School Internship program provides students that have a genuine interest in STEM with the opportunity to learn hands on laboratory based research and support their quest to becoming scientists or physicians in their futures. 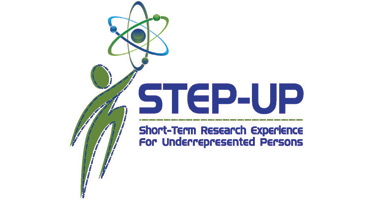 ​Description: The STEP-UP Program provides hands-on summer research experience for high school and undergraduate students interested in exploring research careers. Students are assigned to a nearby college after they are accepted into the program. The CC serves as the STEP-UP student’s primary contact for any administrative or programmatic needs during the summer research experience. ​Description: The Eve and Gene Black Summer Medical Career Program encourages high school students to choose careers in the health sector. Each student that successfully completes their internship AND submits the Required Exit Essay, on time, is entered into a drawing for ONE (1) $500 scholarship. Weekly Stipend: If a financial hardship exits, every selected student may apply for a weekly stipend to help defray any costs associated with their participation, such as transportation or the cost of possible uniform. ​Description: STEM Goes Red participants will have the opportunity to attend a speed networking session with female leaders in LA, a storytellers workshop with media and entertainment executives, a job shadow day with a mentor in research and in a hospital setting, and attend the Go Red For Women signature event in the spring. This program is designed to work around the student’s schedule and will be given the freedom to choose an adventure that fits their interest. ​Description: Have you considered pursuing a career in health administration? With the increasing focus on health economics, business and patient care support services and public health infrastructure, careers in health administration are in demand. Children’s Hospital Los Angeles’ Careers in Health and Mentorship Program (CHAMP) provides young adults in Los Angeles the opportunity to gain practical experience and competencies essential to an entry-level career in health administration. Description: Kaiser Permanente's Summer Youth Employment Program provides underserved or at-risk high school students with supportive and meaningful employment experiences in the health care field. Also known as L.A.U.N.C.H. (Learn About Unlimited New Careers in Healthcare), participants attend educational sessions and motivational workshops that introduce them to the possibilities of pursuing a career in health care. Click here for more information and to access volunteer application.